Thanks to a grant from Indiana Humanities, the Indiana Writers Center was able to create this free curriculum with study questions and writing exercises to reflection and creativity. We hope you’ll make good use of it, and we’d love to hear about your students’ experiences reading, writing, and talking about Not Like the Rest of Us. You can email us at mail@indianawriters.org. 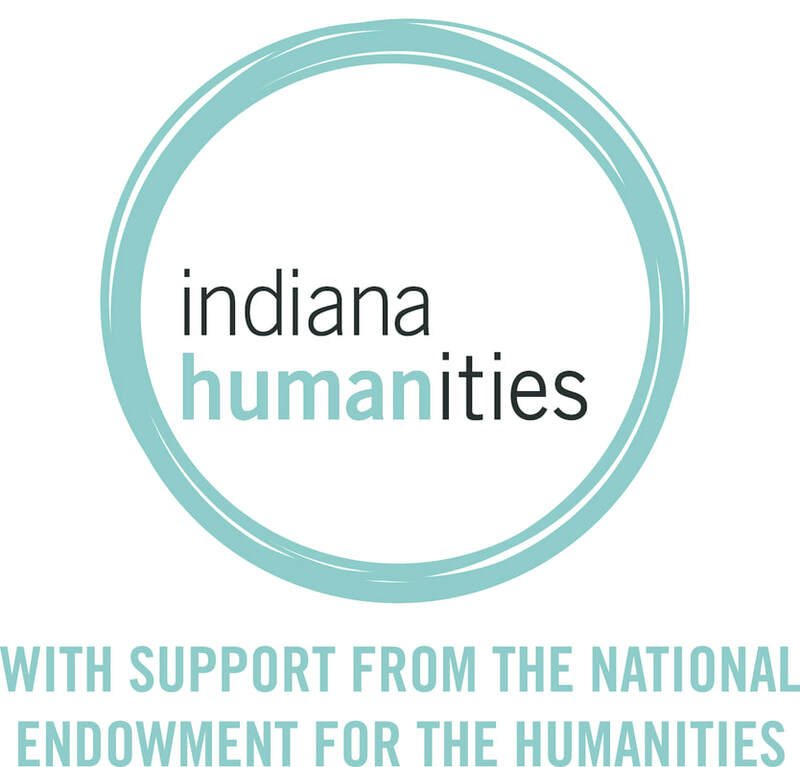 Created with a Humanities Initiative grant from the Indiana Humanities, a free curriculum packet with discussion questions and writing exercises for each piece in the anthology may be downloaded for free. Not Like the Rest of Us: An Anthology of Contemporary Indiana Writers is a publication of the Indiana Writers Center. The title comes from an essay about Cole Porter by Muncie author, Cathy Day. Partially funded by an Indiana Masterpiece Grant from the Indiana Arts Commission and the Indiana Bicentennial Commission and Indy Reads Books, the collection includes more than 75 notable writers of fiction, creative nonfiction, and poetry from around the state—among them: Marianne Boruch, winner of the Kingsley-Tufts Award; Jared Carter, winner of the Yale Younger Poets Award; Christopher Coake, winner of the PEN/Robert Bingham Fellowship; Mari Evans, winner of the John Jay Whitney Fellowship; Helen Frost, winner of the New York Historical Society’s Children’s History Book Prize; John Green, winner of the Printz medal for Young Adult Fiction and the Edgar Award; Patricia Henley, finalist for the National Book Award; Adrian Matjeka, finalist for the National Book Award and the Pulitzer Prize; Susan Neville, winner of the Flannery O’Connor Award for Short Fiction; Scott Russell Sanders, winner of the Lannan Literary Award and the Mark Twain Award; and Dan Wakefield, winner of a Rockefeller Grant for Creative Writing. The most experienced writers are in their nineties, the youngest in their twenties. Some are best-selling authors, some widely known in literary circles, some just beginning. Many were born and raised in Indiana, others found their way here and stayed. An officially endorsed Indiana Bicentennial Legacy Project, the book extends the appreciation of Indiana’s rich literary heritage into the 21st century, celebrating authors who are bringing honor to the Hoosier state in our own time. In choosing works to include in the anthology, special consideration was given to pieces the editors felt would be accessible to high school students, with the hope that teachers would use the book to introduce their students to contemporary Indiana writers and writing. Thanks to the generosity of the writers published in Not Like the Rest of Us, teachers may visit indianawriters.net to download the stories, poems, and essays at no cost for use in their classrooms. The site currently includes writers represented in Not Like the Rest of Us, but the Indiana Writers Center will continue to develop the site to include many more accomplished writers who live and write in Indiana or have a strong connection to the state.